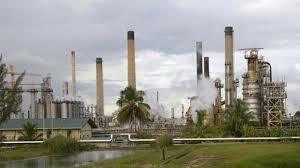 The Petrotrin Pointe-A-Pierre Oil Refinery could be reopened. The Prime Minister says a request for proposal was being finalised for release to the International Energy Industry. Dr. Keith Rowley says expressions of interest in the refinery have been received from at least 50 parties from all sectors of the industry including the OWTU. The union by virtue of its location in the business has been given the opportunity to come up with something. Yesterday he told the media when it is finalised, a public notice will be issued inviting bids.